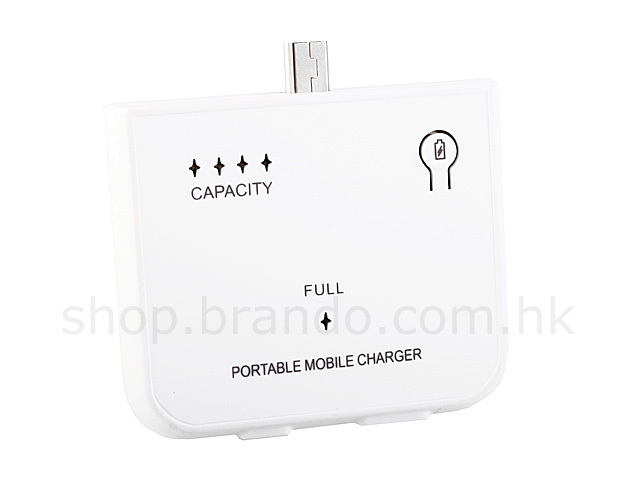 External emergency backup power battery for your PDA or smart phone. 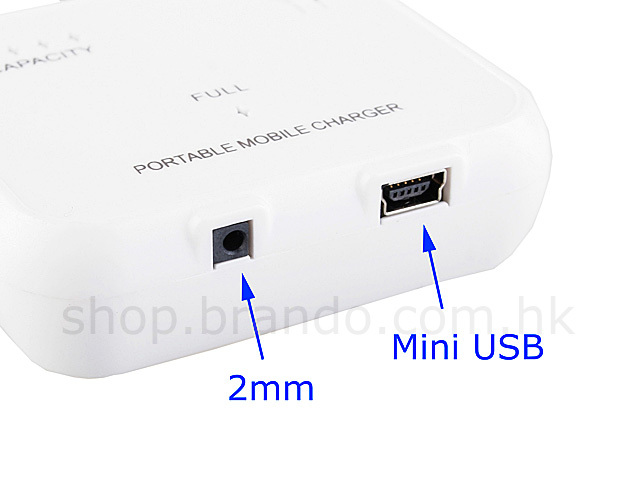 Charge the charger station by your 2mm plug or mini USB cable / AC adapter. 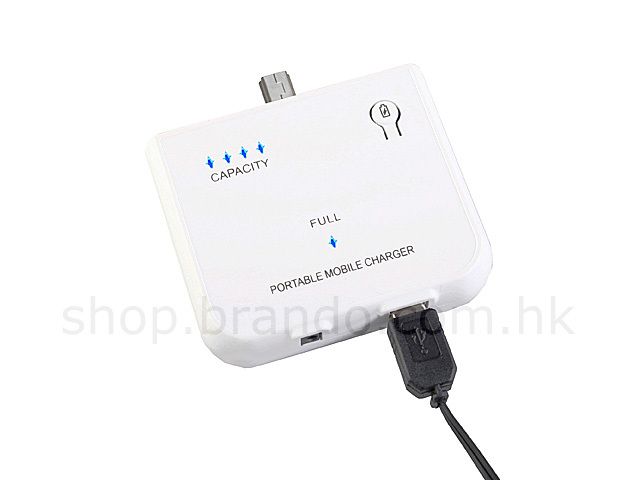 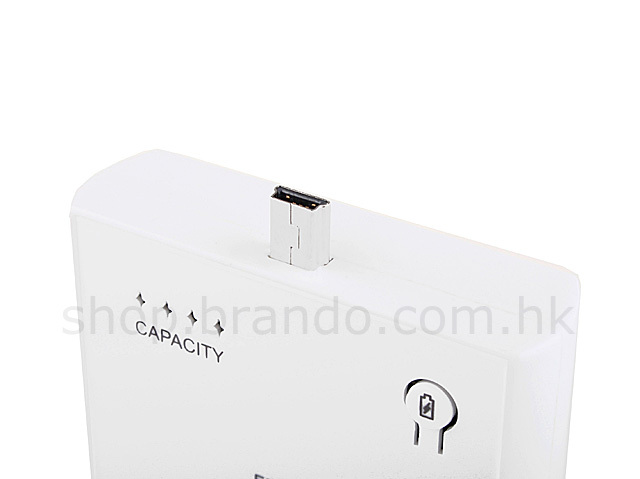 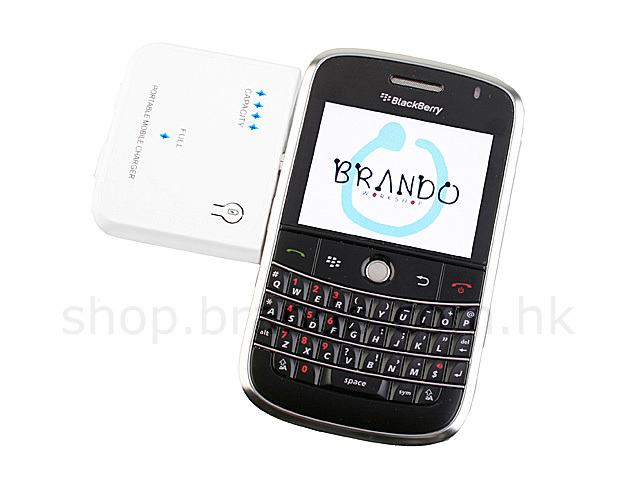 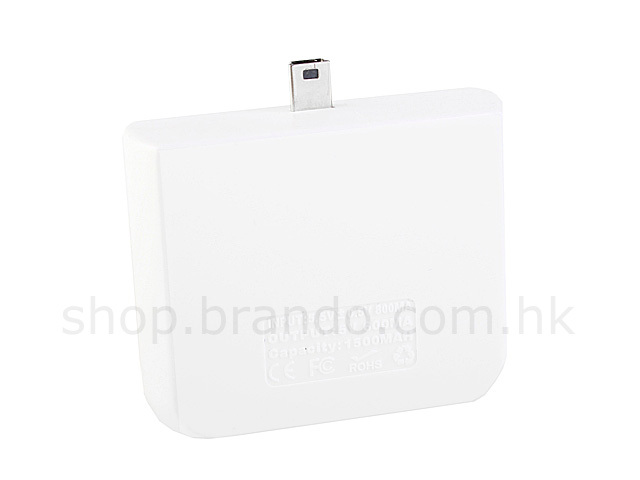 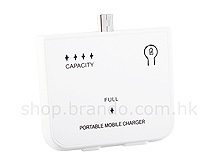 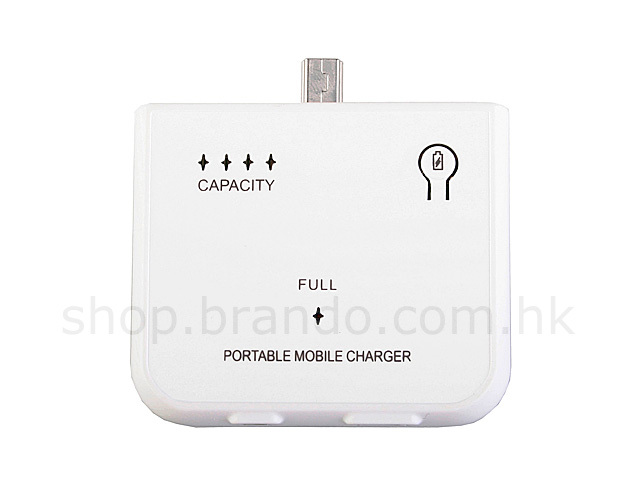 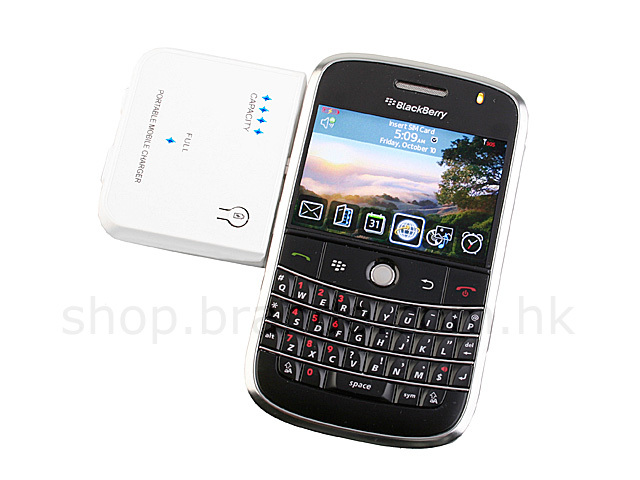 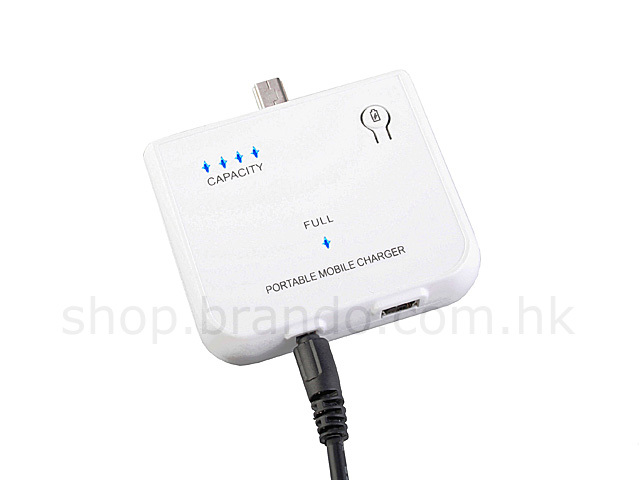 Plug the charger to your mobile phone to charge your phone at any time and any where. 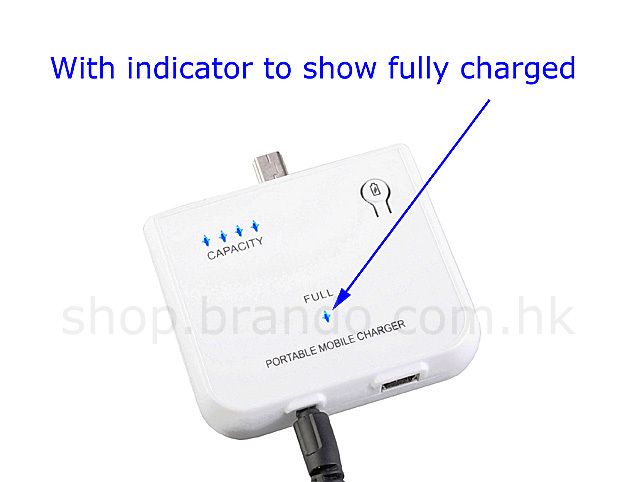 * Please Charge the Charger before Usage.